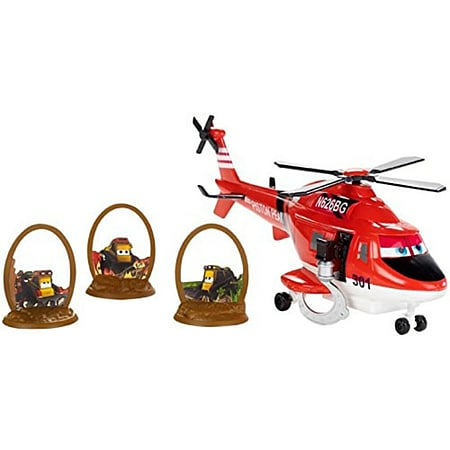 There's a blazing fire at Piston Peak and the Air Attack team needs your help, leading this rescue mission is veteran helicopter Blade Ranger from Disney Planes: Fire and Rescue. 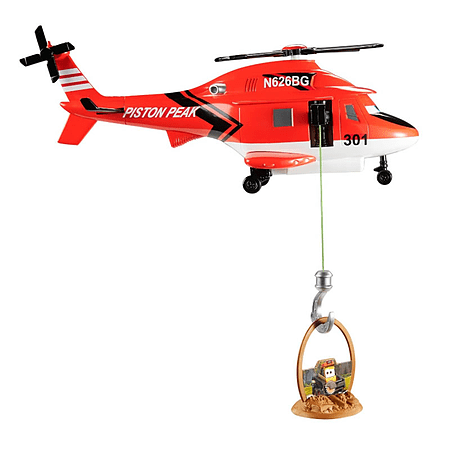 With his special hook he helps his fellow smokejumpers Blackout, Avalanche and Drip escape from danger. 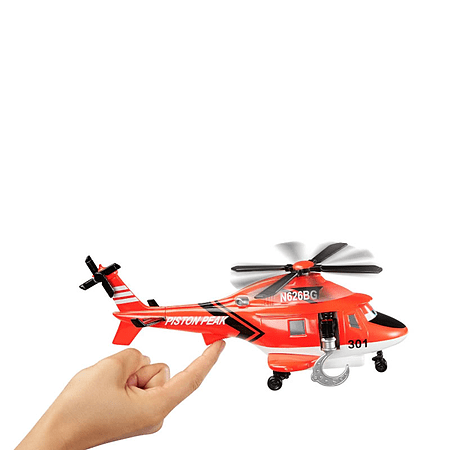 Press the button on Blade Ranger's side to spin his rotors and release his rescue hook down towards the ground. Then, position the hook so that it latches onto a smokejumpers capsule. Pull each vehicle up one at a time and out of harm?s way. You just helped save the day, following a successful mission, boys will feel fearless and triumphant - just like their heroes from the movie. Includes one large-scale Blade Ranger vehicle and three small-scale smokejumper vehicles. Ages four and older.